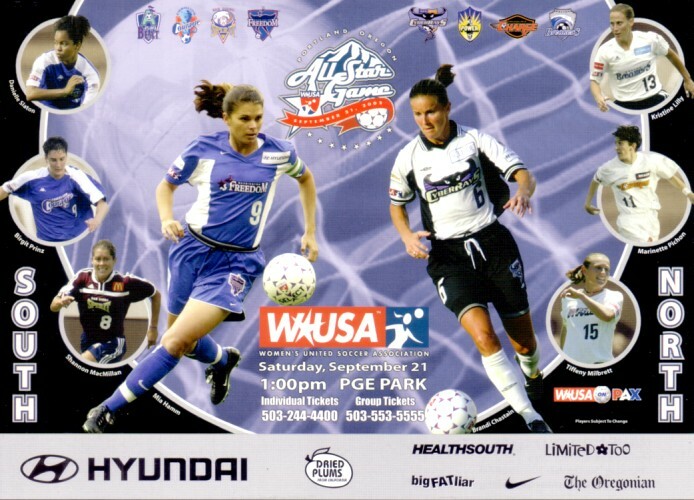 Original 5x7 inch postcard issued to promote the 2002 WUSA All-Star Game in Portland featuring Brandi Chastain and Mia Hamm. MINT. ONLY ONE LEFT.